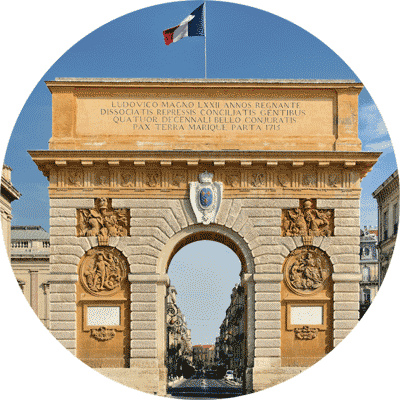 Montpellier attracts more and more foreign professionnals to its dynamic start ups and technology businesses. And if you are one of these people, you probably find yourself working mostly in English or in your mother tongue. But you certainly do need French for your social life and to manage things outside work. And even though French share a lot of vocabulary with English, learning French as a foreign language may seem to you as difficult as learning English is to French people. You might not be available on a regular basis to take fixed date classes. You can spend more or less time improving your French. From one or two hours a week to full time on certain weeks. You probably have special needs, like vocabulary that relates to your professionnal field. You need to get all the admin done that will allow your employer or your business to access the public funding for further education. You might need to get an official end of training certification and that would be especially true if you get funding from your CPF (Compte Personnel de Formation - Personnal training account). We are used to responding to all these needs and this is what makes us specific. You already know some French ! Test your level online to get an idea of where you are standing. You have questions about our French classes ? You want to get a quote from us and do a linguistic audit (it's free and does not commit you to anything). Contact us on the phone at +33 (0)4 99 74 22 74 or make use of the online form below and we will call you back.